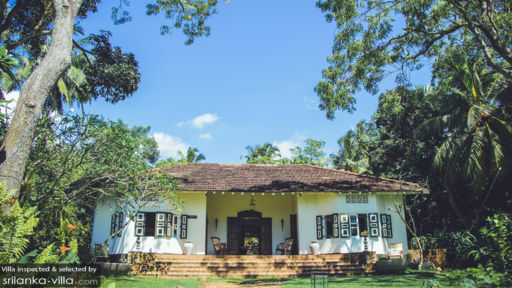 Villa Templeberg is a rustic boutique villa for guests who wish to experience authentic Sri Lanka amidst beautiful natural and historical surroundings. The villa is nestled on a scenic five acre coconut plantation, where verdant paddy fields, water buffalo and the beach are within sight. 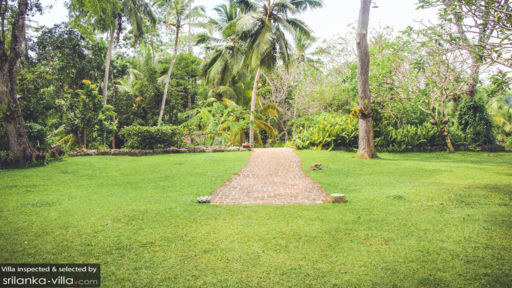 The villa used to be part of a working coconut plantation, and guests can still watch how coconuts are plucked and prepared for sale at the market. In fact, some of the trees are over a 100 years old! The villa is also beautiful in its colonial design, with high wooden ceilings and spacious rooms. In the main villa, there are 3 bedrooms, each with en-suite bathrooms. Each bedroom has been well furnished with elegant furniture and designed for comfort and rest. There is also a separate self- contained 2 bedroom cottage. There is a shared bathroom in the cottage, and this cosy little cottage is perfect for those who prefer a little more privacy. Guests can get close to nature at Villa Templeberg, and try to spot some of the resident wildlife including monkeys and birds. Guests can also experience local culture with the excellent guides who can lead guests on an adventure of a lifetime- taking trips to the market, exploring the beaches and jungles or going even on a wildlife safari! I stayed at Templeberg Villa for a week and had an absolutely amazing stay! The villa is a calm paradise with everything you need to feel comfortable. Beautiful rooms and common areas, a lovely pool, great breakfast and super service minded staff that can help you with everything from transport to information about the area. It's a must visit in Sri Lanka! 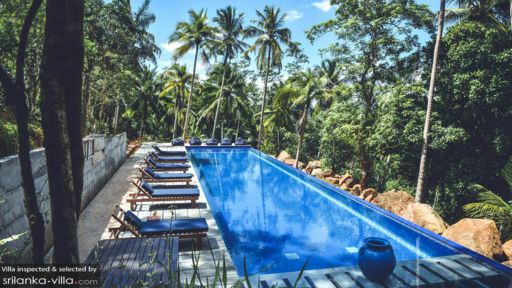 Templeberg is a gem in the jungle just outside of Galle. Perfect location to relax but just a short tuk tuk ride away from beaches, town, bars & restaurants. Rooms are incredibly spacious with that home from home feeling and the staff attend to your every need - nothing is too much trouble. Experience the evening meal with other guests - great food in superb setting. The pool is perfect for a lazy afternoon or refreshing dip after a day of sightseeing. We had the best time and we're very well taken care of. The house is beautiful and very tastefully decorated. The surroundings are beautiful and the location is in disturbed on top of a hill. The poll was well maintained and our kids really enjoyed it. Good to get away from the very ruff sea. We can definitely recommend anyone staying here.